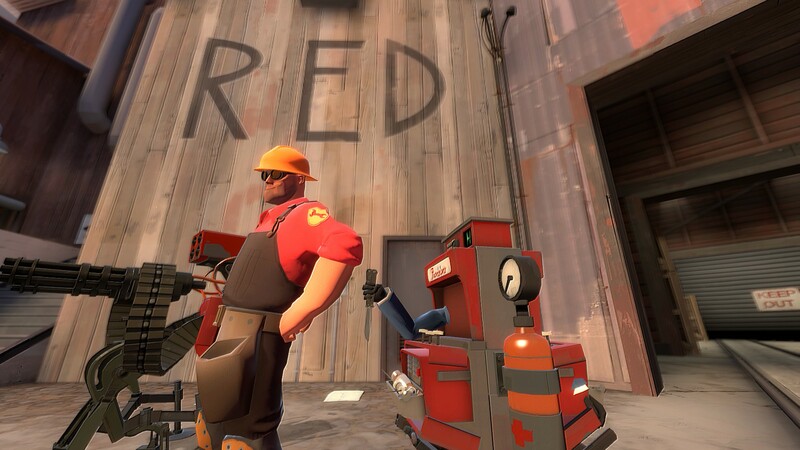 As the devs of a seven year-old game, the Team Fortress 2 team has had a long time to come up with ideas for our beloved shooter. Obviously not all of them can make the final cut, but a good amount of them have been added in unfinished and relatively inaccessible states. Luckily the community has its ways of discovering this unused content, and here are some I feel a slight pang when I think of because they probably will never see the light of day. Valve is routinely adding new addconds to TF2. For those who don’t know, addcond, or “add condition” is a console command that changes the status of the player. For example, when a Medigun Ubercharges a teammate, the game initiates “addcond 5” which adds Ubercharge textures, negates all damage, and plays the appropriate noses and voice lines. “addcond 11” bestows the player’s weapons with guaranteed crits and the critglow effect, “addcond 32” is how the Disciplinary Action bestows a speed boost and the motion lines in the air, etc. You can get the full list here. addcond 49: Crouching causes the player to appear to be a Dispenser of the enemy team to enemy players. As a side effect, forces the player’s speed to 450 Hammer Units/second (diagonal movement is at 520 HU/s). Swapping weapons while in this state will cause the player to temporarily stop moving, then return to 450 HU/s. You heard that last one right. At one point, Valve was toying with a weapon that disguised a spy as an enemy dispenser if he crouched. That has got to be one of the most hilarious, horrifying, and puzzling ideas. Imagine players routinely spychecking your dispenser. Imagine having no engineers on your team, but dispensers are everywhere. The situations are endless, and every one is hilarious. It’s probably for the better Valve didn’t follow up with this one, but I can dream. The Team Fortress 2 Beta was basically a second copy of TF2 that Valve used to test ideas before implementing the in the game proper. It was very popular and interesting in TF2’s early days because Valve tried all sorts of funny things there: weapon stats regularly got tested out before their implementation into TF2, sometimes weird stuff like “every class gets doubled health” was tested gamewide, and in general it was a fun insight into our dev’s minds. Sadly, it fell into extreme neglect after the Free-To-Play update because Valve wanted new weapons to be a surprise for the growing fanbase, and when TF2 was ported over to SteamPipe it was deleted entirely. But many weapons that never left the beta were awesome. Can you see how great that would be? Spray some syringes into a fight, and watch your team regenerate their own health. Give your pursuer a further reason to give up the chase when you leech their health with every syringe. It was like the perfect combination between the Crusader’s Crossbow and the Blutsaguer. And…I have to assume that was the reason they dropped it. It was kinda too good. Insane utility both for combat, noncombat, and it rewarded Medics for not using their Medigun. But I would be sublimely happy if Valve ever dusted the mothballs off of this one and made it a proper weapon. I’m not sure why they removed it; perhaps the effect was a bit jarring, and the Upgrade Station did its job fine without it. But it’s probably for the best, because I’d never leave the Upgrade Station during waves if this was playing. The only reason I can think to not include these animations are….I can’t think of one. They’re awesome. Add it Valve! It’s not the buff afterburn needs, but it’s the buff afterburn deserves! What if TF2 melee behaved mechanically like Left 4 Dead 2 melee? Oh god, Spyspencers would be SO ridiculous. Actually, what if it were a thing in Prop Hunt?